World Culture has an effect on the Arab World and the Arab World has an effect on the World. According to Al Jazeera the Egyptian revolution has resurrected a new type of pan-Arabism, based on social justice not empty slogans. 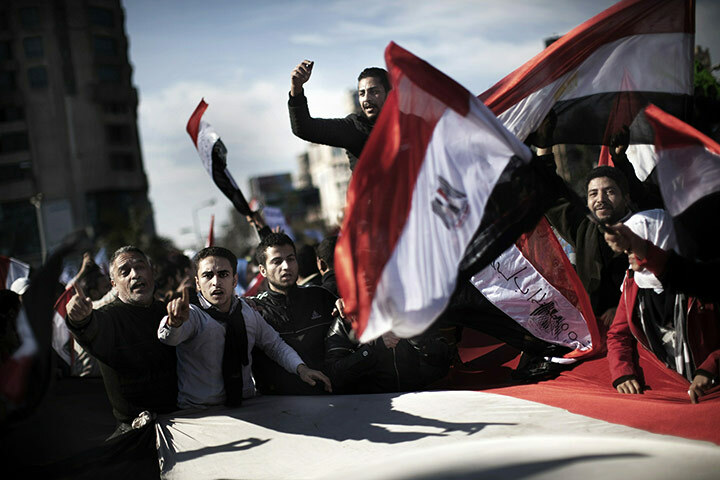 While Egypt celebrates in Tahrir Square, the demonstrations spread throughout Egypt. Some claim the revolution of the Arab World is a revolution of the young and of the new generations. The demonstrations and protests spread through Lyiba, Yemen and Bahrain. The established administrations of Bahrain and Libya closes down hard on the demonstrations while the world is on standby watching the images around the world. It is undeniable the "world culture" has had an effect on the Arab world. However, the "Arab World" has also had a major effect on the world. Concepts such as Democracy are taking ground. Democracy a concept, and idea, as in the respectful participation of all the people, in all aspects of governments. The violence on the streets of Bahrain and Libya reveal that the road to get there is not that easy nor comes without great issues. Tyranny and people's power, , corruption and those who endured it for years, the old and the new one, just some of the words heard on the streets. As the complex issues become even more complex, another program of Al Jazeera, Empire, explores the role of US and ask the question, is Pax-Americana over? They say, "The fear factor has been broken, the genie is out of the bottle. Arabs have taken to the streets demanding freedom. As the winds of change blew across the Arab world, the US, the power that has long dominated the region, has been particularly absent." It is inevitable. The entire world has questions. How far will the demonstrations spread? Will this change the world order? What are the economical, political and historical consequences? What will change? Who has the answers? Let those who know talk.